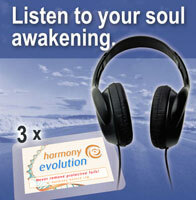 The set of three Harmony Evolutions can easily be inserted into a normal headphone (not supplied). More details here - just click. 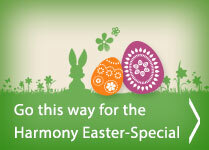 You want to apply to Harmony United to be accepted into their Associates Programme? Add this application-product into the basket. You must have previously (or now) purchase(d) a Harmony Chip to qualify to apply for associate status.